High-precision standard components for die making from stress relieved high-grade steel. Tried and trusted standard die sets with or without pre-drilled holes, precision die sets for increased accuracy requirements and two-pillar die sets with two linear guiding units arranged at the back, diagonally, or centrally depending on the type. 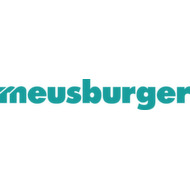 At Meusburger all standard components for die making are directly available from stock.